United Nations, Nov 1 (IANS) Facing the prospects of US sanctions over its deals with Russia and Iran, India has used the annual General Assembly debate on Washington’s economic blockade of Cuba to lash out against unilateral embargoes. “As the world’s largest democracy with abiding faith in multi-lateralism, India stands in solidarity with this Assembly in its unambiguous rejection of domestic laws having extraterritorial impact,” Tanmaya Lal, India’s Deputy Permanent Representative, said on Wednesday. Year after year, the General Assembly has voted for lifting the sanctions on Cuba and last year 191 of the 193 UN members backed the resolution with only the US and Israel opposing it. India has always opposed the Cuban sanctions. “Every year this Assembly has rejected the imposition of laws and regulations with extra-territorial impact and all other forms of coercive economic measures that hurt the progress and prosperity of the people the world over,” Lal said. The Cuban sanctions do not directly affect countries like India that trade with Havana. Although the US embargo mostly restricts engagement by American companies and individuals with the Caribbean country, it does have spillover effects on companies from other countries. India and most countries oppose the Cuban embargo on principle and maintain that domestic laws should not have extra-territorial effect on other countries. Only the Security Council can impose international sanctions under the UN Charter as it has done, for example with North Korea. 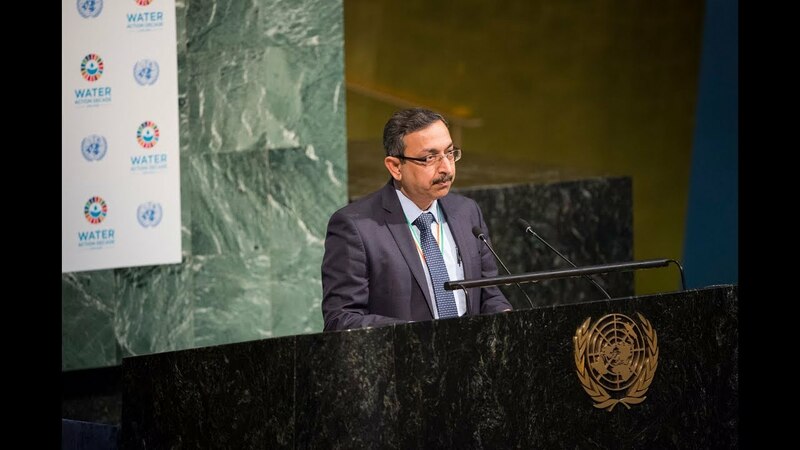 The General Assembly has called on countries “to refrain from promulgating and applying and to repeal and invalidate laws and measures that have extra-territorial effects affecting the sovereignty of other States, in conformity with their obligations under the UN Charter and international law”, Lal said. The US has warned India it could face sanctions under its domestic law, the Countering America’s Adversaries Through Sanctions Act (CAATSA), for a deal to buy an advanced air defence missile system, the S400, at an estimated cost of about $5 billion from Russia and other defence purchases. Mainly motivated by alleged Russian interference in the 2016 presidential elections, the US Congress enacted CAATSA that President Donald Trump signed into law. While that law also has some impact on Iran, Trump has separately acted to impose more stringent sanctions on countries trading with Tehran after reneging the agreement signed by the five permanent members of the UN Security Council and Germany and the European Union with Iran to end its quest for nuclear weapons. The Iran sanctions that come into force on November 4 that could hit India, which buys oil from Tehran and has several projects there like the Chabahar port development. Trump could exempt India from the sanctions, but has not said so far if he would. Scores of countries that spoke during the debate attacked the sanctions on Cuba and demanded that they be lifted. Representatives of the Non-Aligned Movement and the Group of 77, as well as regional groups like those representing Latin America, the Caribbean and Southeast Asia called for lifting of the sanctions.